I also love the picture I get from this description in the rule book: The horse’s neck more or less raised and arched, accepting the contact with a light and soft contact, where the head, as a rule, is slightly in front of the vertical, with a supple poll as the highest point of the neck. I have also learned that what we see and surround ourselves with will influence our thoughts and behaviors. Advertising images work. Subliminal persuasion works. We become who we surround ourselves with. What we see everyday becomes ‘normal’. Art imitates Life when an artist creates what she sees in the environment. That art then influences those who see it… Life imitates art. The first sculpture sits at the entrance of the beautiful Academy Bartels. I saw it when I went to the Global Dressage Forum in the Netherlands. (This is an amazing, top class educational event that I loved attending.). The shape of it stopped me in my tracks when I saw it. You can see it on the website for the Global Forum, and in fact it seems they like the image so much it is the logo for the event. I saw the other impressive sculpture while attending a world class dressage event at the Palm Beach International Equestrian Center. What made me stop in my tracks and take pictures of both of these sculptures? No. It was the irony. 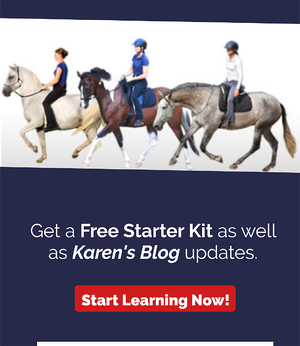 These days, Dressage-Central is tripping over itself trying to figure out why their memberships are down and why so many people are becoming disillusioned with dressage. It's like the governing bodies know they are supposed to say they don't approve of such things as rollkur and purposely hanging on horse's mouths, while at the same time they don't want to alienate the people who do it. To me, it is obvious from the rule book that riding horses really tight and low is not desirable, and is not the object of doing dressage. It is also obvious that doing so has become ‘normal’... Just look at what these artists saw. I'm honestly confused as to why the Global Dressage Forum decided it was a good representation for them to use that image as the logo for an educational symposium. It is the complete opposite of what is stated in Article 401: The Object Of Dressage. (I originally had a somewhat snarky comment here about it being a symbol of how much education is still needed, but it was suggested I take it out). Some of you reading this article may think this is all just too nit-picky, and it’s ‘just art’ after all. I certainly am not criticizing the artists. I just have to wonder at the choices being made. I don't like the obliviousness and the getting-used-to-it-edness of these kinds of images. The words we use, the thoughts we think, and the images we surround ourselves with all influence us and create our realities. They can’t not. Art imitates life, then life imitates art. I can't imagine having to walk past that sculpture of a rider gripping with her legs, looking down, pulling back and hyperflexing her horse on my way to teach students to not do that. Blech. Could you imagine going to a dog training school that had a logo of a person yanking on a choke chain, and had wallpaper with images of dogs sulking with their tails between their legs? It’s hard enough to do dressage well. Most of us need all the help we can get. Reading the dressage rule book is a great place to start. There’s some beautiful stuff in there. Keep an unwavering image of dressage done at its best. Let the other images pass out of your awareness. (Definitely don’t take your worst day riding and make a statue out of it and put it in the front of your stable!). Don’t focus on anyone else's bad riding… Instead, find riders and horses that you love to watch. Focus on the moments of improvement; the moments when things start to look more beautiful. What we focus on we will get more of. No one is perfect. Not all rides are moments of beauty. But the bronze statues in my mind capture those fleeting moments of beauty and harmony that I want to immortalize in my dreams so I can always remember where I want to be going. 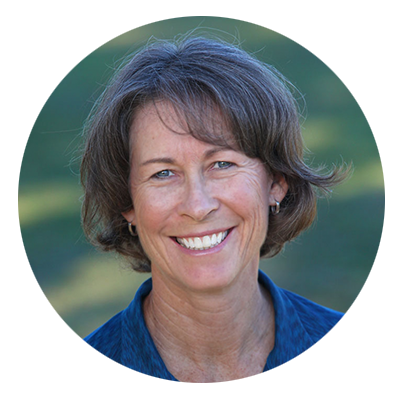 Would you like some more examples of Karen's training videos and an excerpt from her book? Click HERE for a FREE DN Starter Kit!